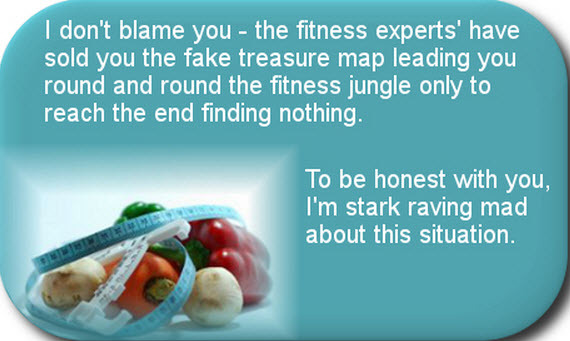 It is so frustrating to continually subject yourself to diets and exercise programs that simply do not work because your body has become weight-loss resistant. You begin to worry that it may be a lifelong affliction that you will just have to get used to. The realization that you are living in a weight loss resistant body does not mean you are sentenced to a lifetime of being overweight.Yes, your body has changed in some significant hormonally/chemical way but the good news is it can be fixed. However, although it can be fixed it is going to take your cooperation, attention and focus to make the changes. You cannot expect change to show up on your body without making changes to your lifestyle. You must now focus on making changes and begin to do things differently in terms of your eating, your activity levels and your overall lifestyle if you want to prevent your weight and ultimately your health from getting completely out of control. You need to face up to the fact that it is likely your habits, poor lifestyle choices, wrong thinking and emotional over-eating that are likely the weight gain culprits. The changes you need to make are not that difficult and once you get started, you will be both relieved and excited to stop ‘spinning your wheels’ and start making forward progress towards your weight loss goals. You just need direction, someone to show you the way. You need to build your knowledge base and you’ll soon discover your own amazing personal power that you can wield against your weight loss resistant body. Everything that I have applied myself to the last few decades has been about finding the easiest and effortless methods to achieve a slim, strong, healthy, feel-good, and bursting with energy body. You can breathe a sigh of relief to know that the solution you are looking for to weight loss resistance does not lie in another diet or dwindling down your food intake to fit through the eye of a needle. Nor does it involve more inefficient exercise methods which work to further deplete your body. It is not about less food which ultimately just means less of everything you need, less energy, less strength and less vitality. Instead, it’s all about more…more quality food which leads to more energy, more strength and more vitality which are all the ingredients for a slim, healthy and feel-good body. Are you prepared to allow me to lead you back along the path to this slim, healthy feel-good body that is waiting patiently for your attention? I share all the techniques and strategies I have developed over time and used successfully on hundreds of people to help them reach their own fitness and weight loss goals in my comprehensive program “Stop Weight Loss Resistance”. I have great faith in you and its time you had faith in yourself. Give yourself a gift today that will dig you out of the hole that seems to have claimed your body.